Den of Geek - The Sinnerman dies, and Lt. Pierce reveals his true identity in the winter finale of Lucifer. I was thrilled with the Cain reveal - in no small part because the Sinnerman arc was so un-thrilling, but mostly because now they can finally do something interesting with Pierce outside of the procedural side of the show. Can I hope for a session with Dr. Linda? Finally a decent twist to the show. I hope they have something good planned for Caine too; he must have manipulated the sinner man extensively for him to go to such lengths to be looked by Lucifer. Huh. It's really too bad the episode was kinda weak in the first half. I mean yay, we figured out what was up with Pierce (odd that Ella has such a thing for him, though) and that bit was done nicely, but aside from the reveal I haven't been very impressed. Last season was a lot more interesting. Hopefully it'll pick up in the back side of the season now that the Sinnerman is dead. It does seem like Pierce had some relationship with the Sinnerman when he was a kid, so there is still some room to salvage the whole thing. Well, thanks autocorrect... that should have said *killed by Lucifer. I have a vague half-formed thought that Caine wants Lucifer to kill a human to lose all his powers, maybe for revenge, or maybe something to do with trying to life Caine's curse. So it seems likely Cain blames Lucifer for Abel's murder and his own immortal punishment, as I'm sure Cain thinks that Lucifer tempted him to sin (or let loose sin on the world when he tempted Eve with the apple). So in a way the original "sinnerman" did kill his brother. As for why Lucifer needed to kill the modern-day Sinnerman, I'm guessing the plan was what Maze alluded to: an angel (or the devil) isn't allowed to kill a human, and if that happens that would unleash God's wrath and/or destroy creation. At the very least, I would suspect, it would result in said angel (or devil) disappearing in a puff of smoke never to be seen or heard from again--giving Cain his revenge on Lucifer. I'm also guessing Cain wanted Lucifer to kill Sinnerman as some sort of symbolic "suicide" (which would likely make God's wrath even worse). The stupidity of the first half was annoying (we have to break Sinnerman out of custody) and I would have been exceptionally annoyed if it hadn't been resolved in such a way that it was Cain forcing Lucifer's hand in the kidnapping as a part of his payback scheme. I agree with everybody, so far, this season has been a letdown, but maybe now we've got the key antagonist in place (and out in the open) things will finally pick up. I feel like the retention of Tricia Helfer is kind of symbolic of where the show is at right now. They've got all these actors who they know can really do loads of great stuff, and the showrunners can't work out what the hell to do with them. So you get Helfer having to do loads of spadework to establish a different but not really character, because they know that she's funny and charming, but they permanently sent her character to another universe in the last season so...yeah. I haven't hated the first half of this season, there have been plenty of things that I've enjoyed, and I'm not even down on it as a piece of fun entertainment, but I do feel like the show is currently letting its excellent cast down badly. However, I thought that the Cain reveal was a good twist, which sets things up to get interesting for the second half of the season. It seems to me that many of this season's difficulties come from it being a longer run of episodes than the first, which felt really tight and satisfying at 13 As an example, Lesley-Ann Brandt is clearly having to fit it around other things in her schedule, which means that the "Maze is out of town on another bounty hunt" stuff is leaned on too heavily and her place in the show is undermined. If it had been a shorter season, that could have been significantly ameliorated without her having to turn down offers of other work that she richly deserves. 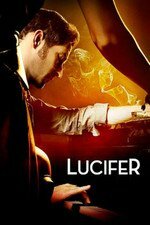 Another example is that they could have strung out the "Chloe doesn't know Lucifer is the Devil" much more plausibly for a shorter, punchier season (not just because of the number of episodes but also because there would have been more momentum generally); I'm extremely tolerant of silly suspension of disbelief, but even I'm starting to get slightly annoyed with that particular Lois Lane-ism. I'm still enjoying the performances though, many of which have actually gotten better and more nuanced as time has gone on. It's just the plotting that's the fly in the ointment. It seems to me that many of this season's difficulties come from it being a longer run of episodes than the first, which felt really tight and satisfying at 13 As an example, Lesley-Ann Brandt is clearly having to fit it around other things in her schedule, which means that the "Maze is out of town on another bounty hunt" stuff is leaned on too heavily and her place in the show is undermined. If it had been a shorter season, that could have been significantly ameliorated without her having to turn down offers of other work that she richly deserves. What other work has Brandt had to turn down because of Lucifer? As far as I know, the whole "out bounty-hunting" excuse for Maze's absence was their cover for Brandt's maternity leave, and the strange spacing is because of the order they chose to slip the 4 'filmed in S2 but not aired in S2' episodes into the S3 schedule. I think the baby was only 6 weeks old at Dragoncon back in September, and they were already several episodes into filming S3 then. She talked about the last big fight scene she was able to do in S2 before she had to pull back/start maternity leave, though I can't remember which one - maybe the one where she and Lucifer kicked the crap out of each other? Either way, it seems like she was out of commission for the hiatus and working her way back to fight-scene-fitness when the season started. I do agree that the pacing hasn't been great for S3, but, I don't really mind it that much. I don't think they have the budget to include all of the recurring regulars in every episode, so I just kind of take it for granted that they're always going to be shuffling around different groupings of the ensemble most weeks and save the full-cast-team-ups for the finale. My misunderstanding! Although, again, I think it would have been easier to ameliorate with a shorter season. The urge to extend everything good out to an extent where budgets, showrunners, writers and actors are stretched beyond their capacity to produce the best content may be good business (especially for retention to subscription services maybe?) but it's often not great for the actual shows. You're still absolutely right about Tricia Helfer. They painted themselves into a corner with her character and now they're trying to escape but they can't seem to find a good way out. And it's a shame because she really was a good fit with the rest of the cast in her previous incarnation, but now it's just painful to watch her struggle with the thin gruel they've given her to work with this season.